Nozawa Onsen is located in the Northern region of Nagano at the base of Mt. Kenashi -yama. It offers one of the most beautiful snow sport vacation opportunities you will ever experience. 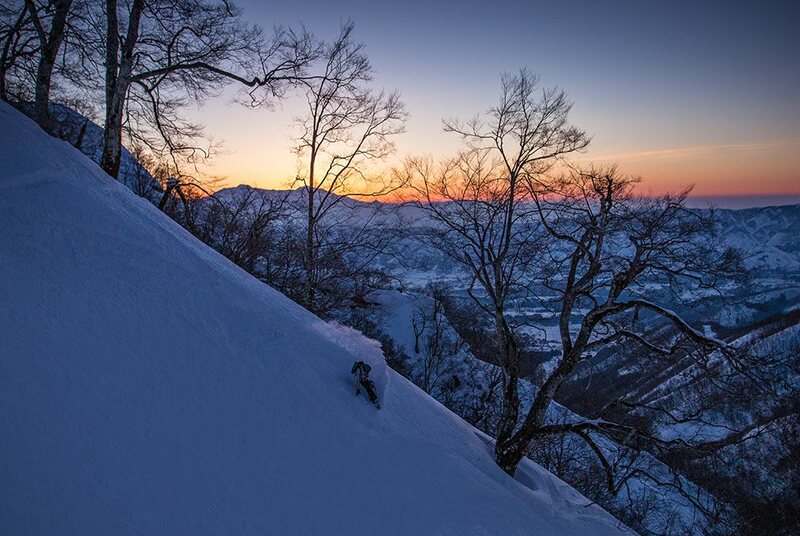 Great way to enjoy the Sunset – Nozawa Style. But that’s not all, this traditional old Japanese village is still offering it’s guests old-fashioned Japanese hospitality plus lots more. These cheeky little mountain inhabitants are great fun. This is a great trip with knowledgeable and experienced tour guides. They’ll take you by bus out to the montain, and walk you up the trail to see these little guys. Stop and have sushi for lunch – yum! 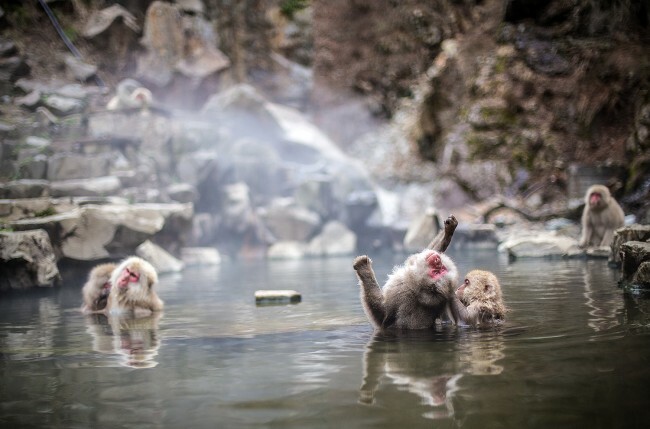 Famous for its hot springs since way back in the 8th Century, Nozawa Onsen has 30 distinct mineral springs feeding 13 public bath houses or ryokans. 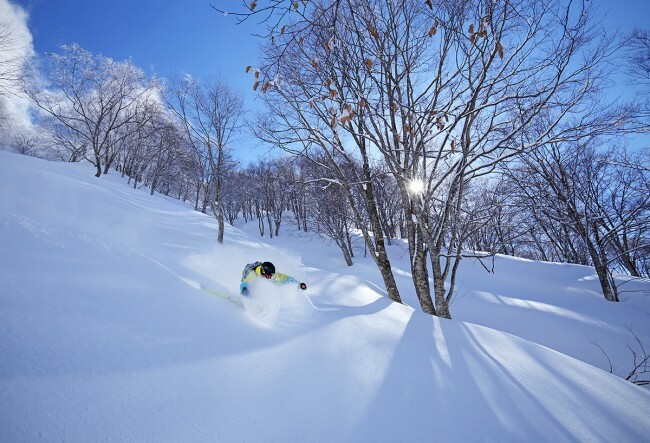 Easily the best powder skiing anywhere in Japan between December and April, or early May – make Nozawa a popular winter sport destination. Nozawa Onsen ski resort opened 70 years ago – and is still one of the largest snow resorts in Japan! The Best Snow Is At Nozawa. There is also the option of off piste skiing off the back of the mountain, however it is recommended that you take a local guide with you. For snowboarders looking for something a bit more adventurous and challenging, Nozawa provides the goods with a terrain park filled with jumps, rails, boxes and an 80m pipe! The resort boasts two gondolas and twenty-three chair lifts to whisk you back to the top once you reach the bottom of one of the 20 pistes or trails the longest of which is a 6.2miles (10km) run. Feeling sore? Take a break from skiing or snowboarding and visit the Onsens or the Health Centre with steam boxes and outdoor Onsens. A stroll through the village with its friendly atmosphere and traditional Japanese charm is definitely worth it. The village’s old, narrow, cobbled streets bustle with traditional Japanese inns, modern hotels, hostels, wonderful and distinctive restaurants, bars, souvenir shops, street vendors and of course the free public bath houses. Japan Ski Museum which features a collection of historic skis from all over the world and presents a history of skiing in Japan is a fascinating learning experience! 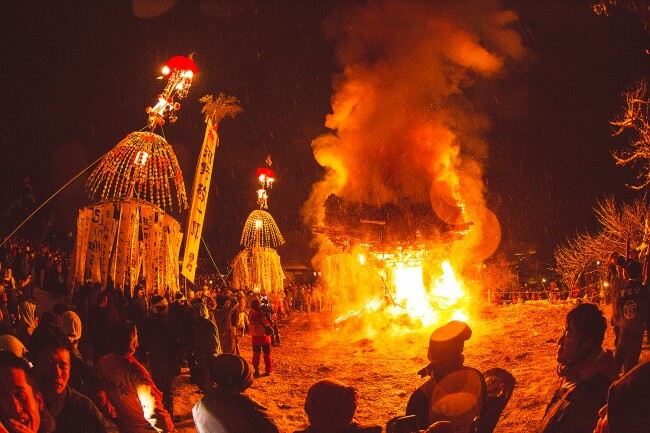 Nozawa Fire Festival – A Great Night!